Volusion is a well-known ecommerce brand. They were one of the first companies to offer fantastic support for small retailers that needed to establish their own ecommerce platforms. They wanted to capture more of the market by creating a new brand focused on big retailers, and named it Mozu. 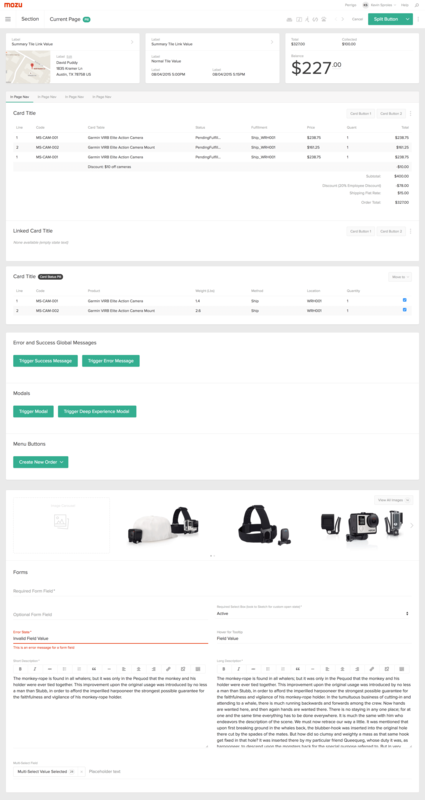 I worked directly with the founder of Volusion to create a vision for Mozu that would attract and delight the big customers necessary to get the platform off the ground. I created all of my designs in code and worked with the Mozu developers to assist in implementation. Initially, I was focused on the Mozu product. Because of the success of that work, I was asked to work on a series of marketing ideas as well. Mozu faced an uphill battle due to the long sales cycle for big clients and already stiff competition. 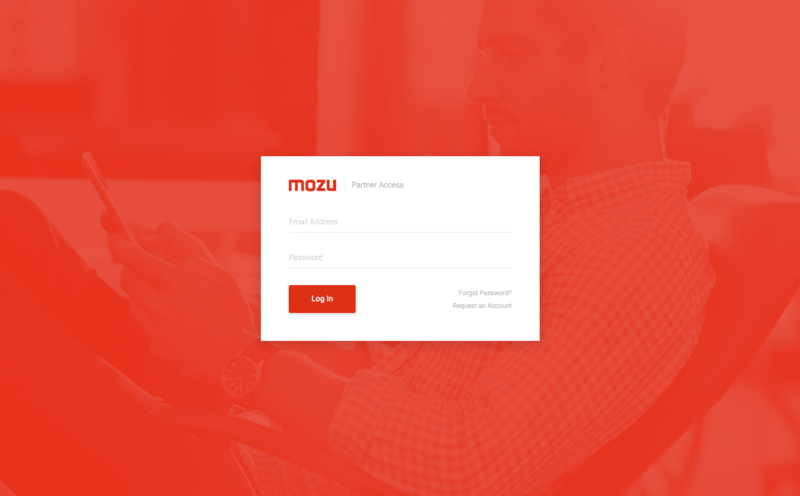 A Mozu marketing site, which I wrote, designed, and coded. It was an alternate approach to Mozu's previous website, which felt more like a lifestyle or apparel company. A detailed prototype of the application. I created Mozu's first design system in 2015, when design systems were in their infancy. 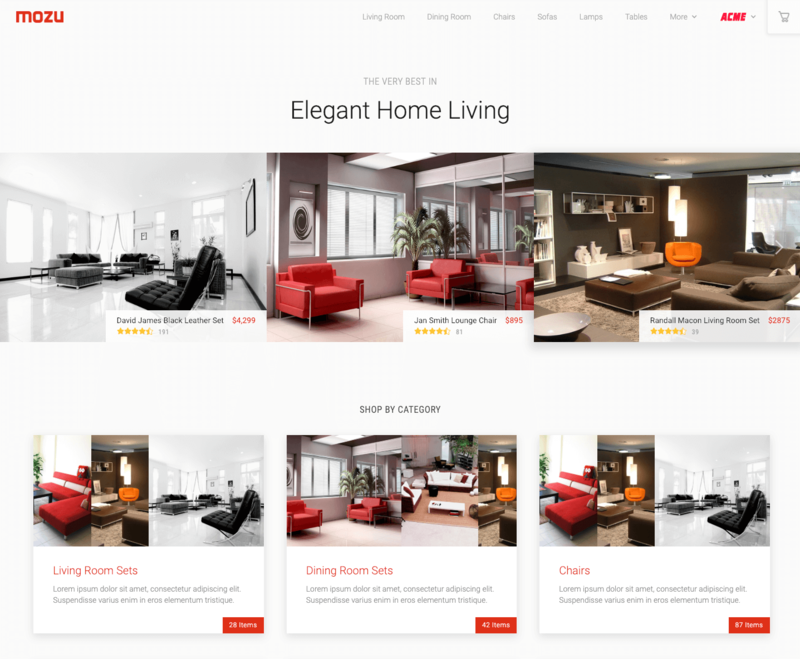 A demo white-label site to entice new customers with Mozu's store templates. Mozu started as a big bet in an entrenched space. I led the design effort of the product and was able to help Mozu establish a significant brand presence while developing the detailed features necessary to support big brands. Eventually, Volusion sold Mozu to focus more on their core customers.